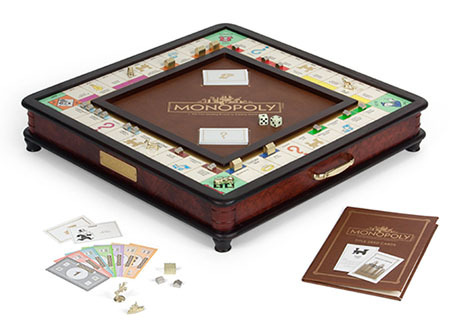 The “luxury version” of Monopoly allows you to spend over two hundred bucks in real money on a game that will drive you and your family apart. The same company makes two-hundred-buck versions of Clue and Scrabble, in case your family’s still on your side after Monopoly and you want to drive them into a blinding rage by playing ZYMURGY on a triple-word. At least it’s not Monopoly For Millennials.